Perhaps, you were as surprised as the rest of the world by the sudden announcement from President Donald Trump recognizing Israel’s possession of the Golan Heights as now a legitimate part of Israel. 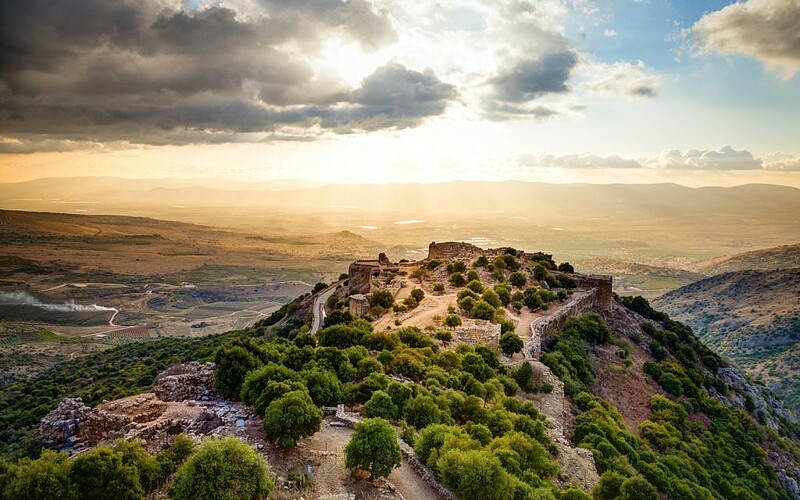 The Golan Heights is a basaltic plateau bordered by the Yarmouk River in the south, the Sea of Galilee and Hula Valley in the west, the Anti-Lebanon with Mount Hermon in the north and Wadi Raqqad in the east. 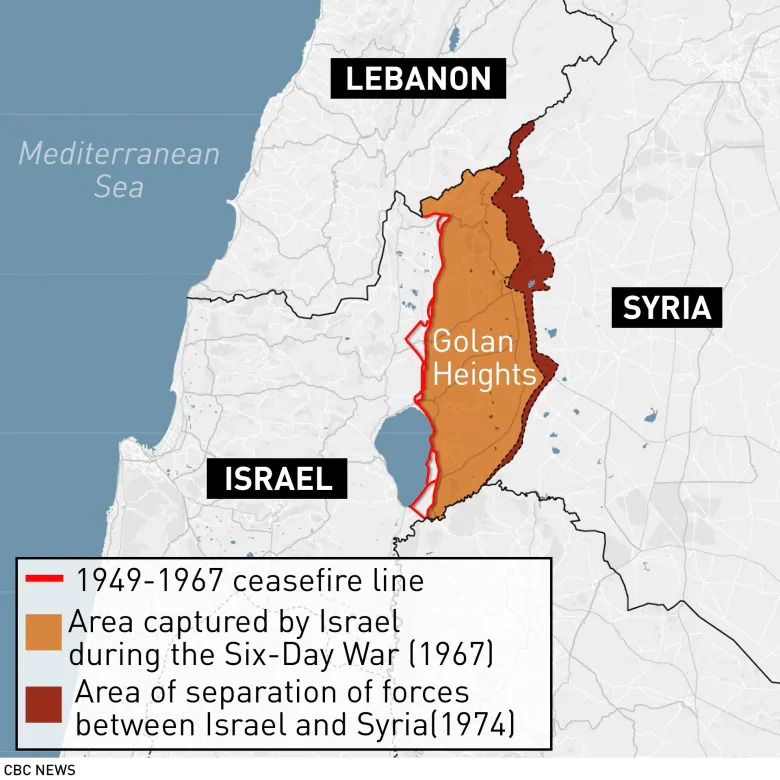 The Golan Heights was captured from Syria and occupied by Israel during the Six-Day War. This stretch of territory was effectively annexed to Israel in 1981. This region includes the western two-thirds of the geological Golan Heights, as well as the Israeli-occupied part of Mount Hermon. Construction of Israeli settlements began in the territory held by Israel, which was under military administration until Israel passed the Golan Heights Law extending Israeli law and administration throughout the territory in 1981. This move was condemned by the United Nations Security Council in UNSC Resolution 497, which stated that “the Israeli decision to impose its laws, jurisdiction, and administration in the occupied Syrian Golan Heights is null and void and without international legal effect”, and UNSC Resolution 242, which emphasizes “inadmissibility of the acquisition of territory by war”. Israel maintains it has a right to retain the Golan, also citing the text of UN Resolution 242, which calls for “safe and recognized boundaries free from threats or acts of force”. Regardless of UN resolutions or anything else, Israel will never give this territory back. Several times, I rode a Jeep up from the Galilee up the steep slopes to the top of the Heights. One look will tell you why Israel will keep this land. For years Syrian and Jordanian troops sat up there on the top and shot Israeli farmers working down their in the valley around the Galilee. The entire Galilee area is vulnerable to canons and whatever weapons can fire from the Golan Heights. No country could allow this threat and jeopardy to exist. If you’re a supporter of Israel, you applaud this move. If you’re not, you are appalled. But why should the United States alone suddenly announce an acceptance of this situation when no other country in the world will recognize the same? Why at this moment? Speculation is simple. 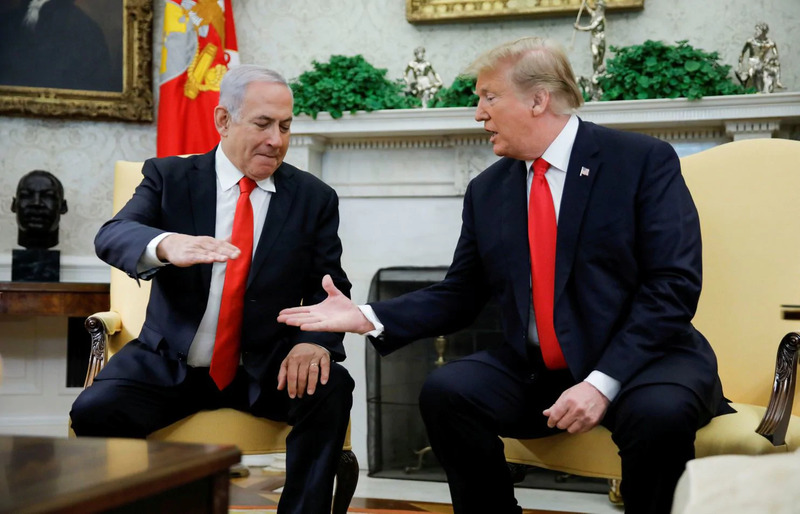 Trump likes Netanyahu and the Prime Minister needs a boast in the Polls before the April 9 elections. President Trump’s action can only help the Prime Minister. Sorry, I’ll be out of the country next week. My following report will be in April. Israel’s election is a free for all: Instead of two major parties, there’s a whopping total of 47 parties competing at the ballot box. 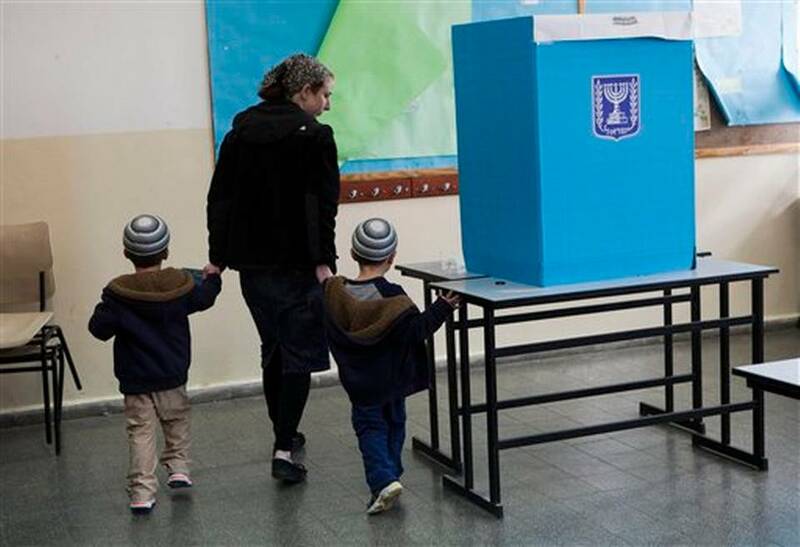 Israelis vote for parties, not individual. The more votes a party gets, the more seats it has in Israel’s 120-seat parliament, the Knesset. A government is formed by a party — more likely a coalition of like-minded parties — that captures more than 60 seats. More than a dozen parties could make the next Knesset. Here’s a short description of each of them from The Times of Israel. Likud, Israel’s right-wing flagship, and Netanyahu’s party, opposes a Palestinian state, supports settlements and encourages privatization in the economy. The longtime prime minister is seeking his fifth term. The New Right is kind of like Likud on steroids, the party staunchly opposes Palestinian statehood and supports settlement growth, and features a very hawkish defense policy — what its platform calls an “iron fist” against Israel’s enemies. Jewish Home-Jewish Power is the controversial union between a religious Zionist party and a far-right party, also known as Otzma Yehudit, that supports implementing religious law and waging “total war” on Israel’s enemies. As of late, Netanyahu has been courting this vote to be part of his cabinet which has created a strong backlash. In the last elections, held in March 2015, the Netanyahu-led Likud won 30 seats and formed a coalition with smaller right-wing and religious parties (Jewish Home, United Torah Judaism, Kulanu and Shas, with Israel Beiteinu joining a year later). If the coalition were to fall apart — a minister leaving the government, for example — Netanyahu would lose his coalition, lose control of the government and must call new elections. A “free for all?” Sounds more like Rugby! While I was in Israel a few weeks ago, I ask a friend about the upcoming elections. He made an interesting comment saying, “I am more worried about the cabinet than who gets elected Prime Minister. What did he mean? In Israel whoever is elected Prime Minister must form a cabinet, a government in order to preside. The nature of that cabinet will determine what the government does. This means that the winner of an election must make deals with a wide-range of political parties in order to garner enough support to govern. This means that small margin groups can actually end up in the cabinet and exert an influence far beyond their numbers. For extra, the ultra-orthodox religious groups that are a minority in the country have been in previous cabinets and wielded a major influence on decisions. Prime Ministers who needed their involvement agreed to deals that majority of Israelis would never have affirmed. Israel has many, many political parties. Some go out of existence after losing an election and others are created for a special cause during election season. These groups usually have only two or three seats in the Knesset. In some instances, they support causes that are almost laughable. Last week I reported the alarm sounded both inside Israel and among the Diaspora when Prime Minister Netanyahu began courting the anti-Arab party Otzma Yehudit. These extremist followers of Meir Kahane favor radical military actions such as seizing the Temple Mount and destroying the Mosques there. In order to garner votes, Netanyahu has begun to make a deal with them. Should Netanyahu be re-elected, these extremists could be in the government, swinging a frightening position of power. The Prime Minister’s pursuit of such an extremist group conveys his fear of not having enough votes to make a government even if he wins the election. A footnote: Tzipi Livni ended her political career this past week. While she may be unknown to many, Livni is a brilliant woman who once worked for Mossad. She was unable to develop a mega-block coalition of the Center Left and had experienced betrayal by people she thought were her friends. In 2008, Livni came close to becoming prime minister. In the 2009 election, she nearly took the day, but Netanyahu prevailed because he was seen as having the better chance of forming a majority coalition. So goes Israeli politics! Hey! I’m back from Israel with the latest from citizens I talked with in official capacities as well on the sidewalks. The locals are in a bind. For several months, I’ve been writing that Prime Minister Netanyahu is facing serious criminal charges. I’ve had people question my statements, but now the chickens have come home to roost. Netanyahu’s problems are also troubling the elections. 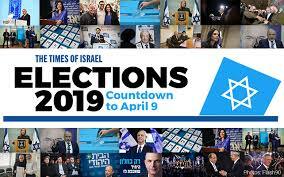 On April 3, Israelis will vote. What’s their thinking as of today? Netanyahu has taken the country to the most significant prosperity in their history. Tourists in extraordinary numbers are everywhere. Hotels are sold out and restaurants packed. The constant threat within Israel by terrorists has been minimized. Sure, Hezbollah is out there on the horizon, but they know they better think twice about attacking Israel. Netanyahu does have a record of accomplishments. And who’s going to run against him?. 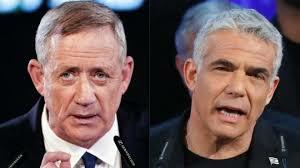 Former General Benny Gantz is already campaigning, but he’s not in a class with Netanyahu yet. There simply isn’t significant opposition. Ordinarily, Netanyahu would be a shoe-in. The criminal charges are substantial and the Israelis know it. Both Netanyahu and his wife are charged by the police. A charge as high as $250,000 in payoffs, expensive champagne, cigars, political favors for the wealthy, etc. are on the books. In the last election, Netanyahu proved himself to be a flip-flop artist constantly switching positions to garner votes. The latest turn of events is his current reach to an extremist racist anti-Arab party Otzma Yehudit. The member of this party consider themselves followers of Meir Kahane who advocated everything from a forceful takeover of the Temple Mount to outright annexing the Palestinian areas. His Kach Party was outlawed in Israel and declared a terrorist group in the United States. Kahane was assassinated in New York in 1990. Sound a tad right-wing to you? Jews around the world are in shock over this turn of events. American synagogues are already screaming. The move to gain radical support signals Netanyahu knows he is in trouble. What’s the next step? Attempting to predict election results is more than a little risky. The next month will bring more clarity. Let’s watch and see what surfaces. NEXT WEEK: More on how the Israeli government system works. Let’s take a further look beyond where we were last week. The coming Israeli elections on April 9 are the hot topic of the day. I will be leaving this week for Israel and will come back with an even closer look at the situation. All of which also means that I won’t be doing another blog until March 3. The question that is becoming the pressing issue is how Prime Minister Netanyahu will endure in the battle for the office he now occupies. The current thinking is that Netanyahu will win barring a major upset. Likud (his party) already holds a substantial lead in the Knesset. As reported last week the unknown entity is whether Attorney General Avichai Mandelblit will quickly press charges of corruption against Netanyahu. This dark cloud hangs over Netanyahu’s campaign. 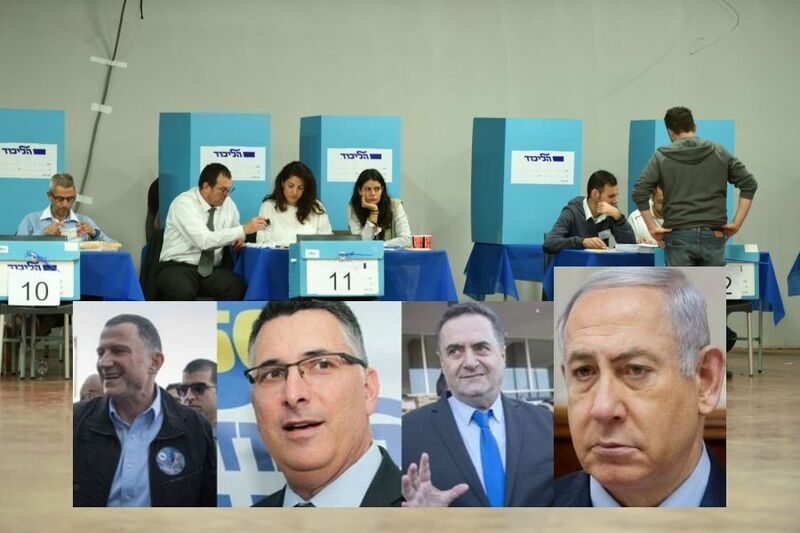 Always heated, Israeli elections have fierce backroom negotiations between the many parties in the country. A major bombshell exploded when Avi Gabbay terminated his partnership with Tzipi Lvini (a former Mossad operative) that killed the Zionist Union party. Livini is now frantically searching for a new alliance. Gabbay’s vindictive treatment of the woman made him look mean and Livini deserving of sympathy. We will see how that goes. A highly interesting new candidate is retired general Benny Gatz. Looking like a movie star, Gatz is well-known and liked throughout the country. A centrist, Gatz has yet to clarify his exact political position. Some supporters caution him to remain vague, but the anti-Netanyahu element wants him to purpose a center-left position they believe will take the day. As you may know, Israel has more political parties than Carter has liver pills. New ones are being invented for this election. The Jewish Home party collapsed and came back as the New Right. Gatz’s group invented the Israel Resilience party. Of course, there’s always the religious Zionists and Orthodox Jews groups. How does all of this play out? Actually, all of these groups will split the vote and that could make the Likud party come out on top with Netanyahu winning. The proliferation of parties provides power for the Prime Minister. Of course, it is far too early in the game for any sane predictions how the next 60 days will play out, but it’s going to be interesting to watch. See ya’ when I get back from Jerusalem. If you haven’t already heard, Israel will hold a general election with the office of the Prime Minister up for grabs on April 9. Israeli politics can be a fascinating rough and tumble affair. So, what’s going on? 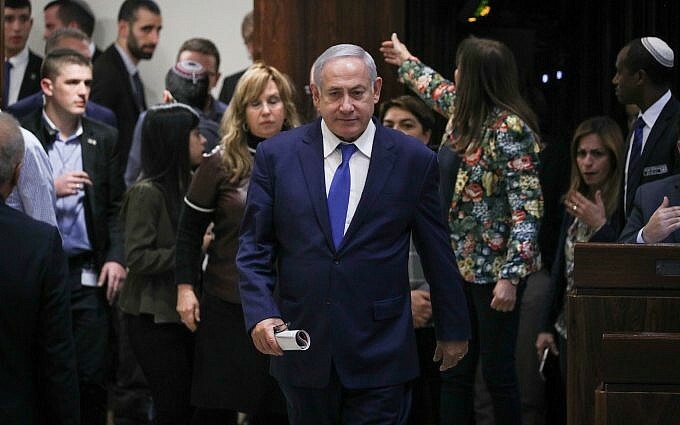 When Prime Minister Benjamin Netanyahu dissolved the Knesset and called for elections, some commentators speculated that security issues prompted the call for a vote. After a couple of weeks of behind the scenes investigation, the picture became clearer. The call for an election had nothing to do with security. In fact, Israel remains well secured at this moment. The better commentary on the inside story came from journalist Yaakoy Katz writing for The Jerusalem Post. Katz reported that State Prosecutor Shai Kitzan said at the Global Business Conference that work had been completed on indictments to be brought against Netanyahu in the immediate future. Charges of corruption were sent from the police some time ago and only await the response of the Attorney General to proceed with the case. By calling for an immediate election, Netanyahu would hope to put the squeeze on Attorney General Avichai Mandelblit to hold off prosecution. Prime Minister Netanyahu’s political future hangs in the balance. Actually, he remains in the public’s eye one of the most popular politicians ever. Whether the voters will be swayed one way or the other by these charges is unclear. Either way one views the evidence, Netanyahu is throwing the dice in this election. You can bet there will be plenty of political jockeying between now and April 9. In another week, I’ll be going to Israel and talking with people on the street as well as leaders. I’ll bring you a report back on how much fire is under that smoke. Last week I began with the statement. “Let’s face the facts. The enemy is Assad and the threat is Iran and Russia. ISIS remains fighting and is not defeated. In the following week there has been a flurry of activity supporting that reality. Apparently, this is a gift that keeps on giving. In the area of southern Syria, a new order is emerging. Assad is settling accounts with rebels who worked with Israel and Western countries during the rebellion. The central role in this surfacing new order has begun taken by Iran and its allies. Iran has begun to surface as the force behind the Assad throne. Without the stabilizing effect of US troops, the government has a free hand to do as it pleases. After announcing an amnesty to the rebels if they would “normalize their status,” the Syrian government has actually begun killing the former rebels that were promised pardon. The body of Ghanim al-Jamous, former head of the Syrian Police in the town of Dael was found on the roadside. Enough said? Meanwhile, Senator Lindsay Graham flew to Turkey to meet with Turkish president Recep Tayyip Erodogan to quiet the flap in which Erodogan called Trump a traitor after the American president made conflicting promises to Erodogan. Graham is calling for a much, much slower withdrawal that is smarter than Trump’s announcement. Turkey had refused to allow security adviser John Bolton to come to Turkey because of his threats that Kurds would be protected by the US. During the visit Graham contradicted Trump’s statement that ISIS had been defeated. Senator Graham’s concern was that the entire situation could turn into another dangerous mess. “Really? How big a mess do we already have in Syria? Sitting across the ocean, it is easy to pontificate about quick pull outs, etc.. It is an entirely different matter when you are in Israel or a Kurd or a former rebel that will now face certain death. American politicians can debate whether the US should be there at all. However, we are. We can’t turn our backs on our responsibilities because it is politically expedient to do so. Last week I concluded with the statement. “Let’s face the facts. The enemy is Assad and the threat is Iran and Russia. ISIS remains fighting and is not defeated. One week later, the headlines in the media screamed, “Syria Attack kills 4 U.S. Citizens.” The suicide bombing killed at least 16 people. 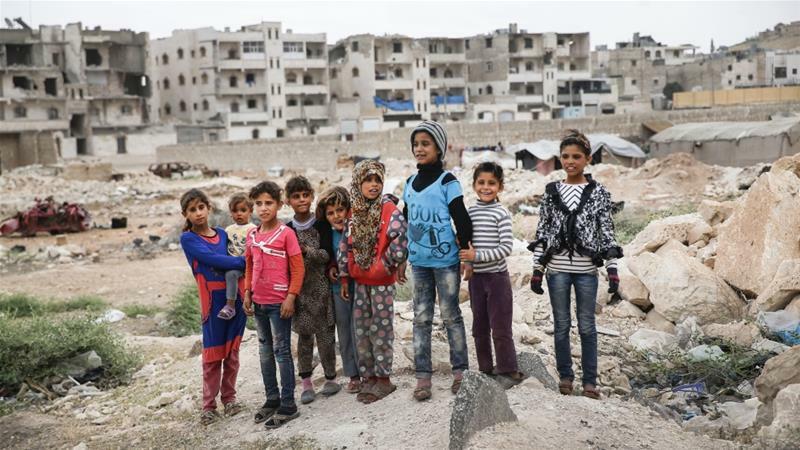 The Associated Press reported, “The strategic northeastern town of Manbij highlighted the threat posed by the Islamic State group despite Trump’s claims.” In seven days, the reports confirmed the fact that ISIS is far from dead. 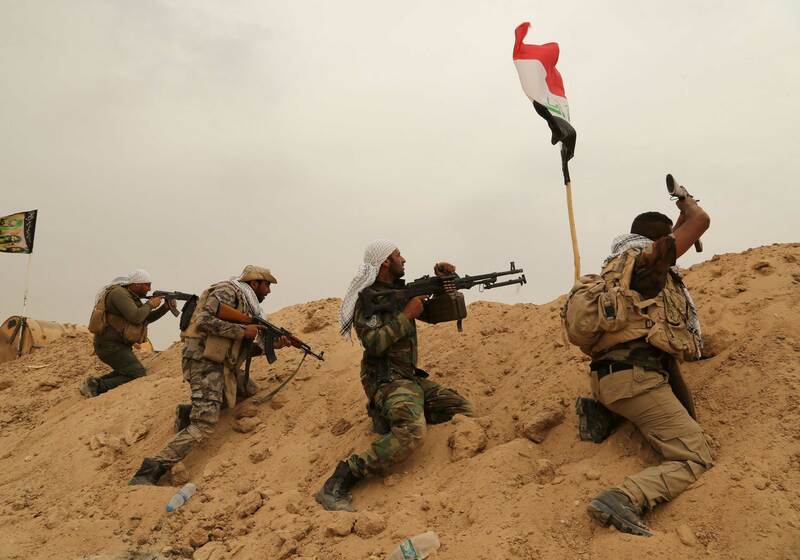 The arbitrary and abrupt withdrawal of US troops has left the door open not only for more killing of American personnel, but for a power play that will further destabilize the region. Who is applauding the sudden retreat of the USA? Russian and Iran. The foregoing is not my opinion, but what allies and particularly Israel are currently saying. What further complicates the situation are the divergent opinions expressed by National Security Adviser John Bolton and Secretary of State Mike Pompeo trying to assure the Kurds and Israel that Trump didn’t really mean what he said. Yet, the most recent reports seem to indicate military equipment is currently being withdrawn. Who knows what the reality of the situation actually is! The impression one receives is that informed leaders in the current administration are trying to temper Trump’s uninformed decision. The immediate wild-card is Turkish President Recep Tayyip Erodgan. On December 14, 2018, President Trump said Erodgan assured him Turkey would not attack the Kurds. On December 17, 2018, Erodgan reiterated his threat to attack the Kurds. If that threat is carried out, one of America’s most faithful and consistent allies are open to an assault from the Turks. Even though a NATO ally, Turkey has been on a path of authoritarianism and support for the Sunni faction of Islam. In addition, Erodgan has been deliberately increasing his ties with Russia. This situation makes Trump’s talk of withdrawal all the more ominous. So, where are we? Not in a good place!